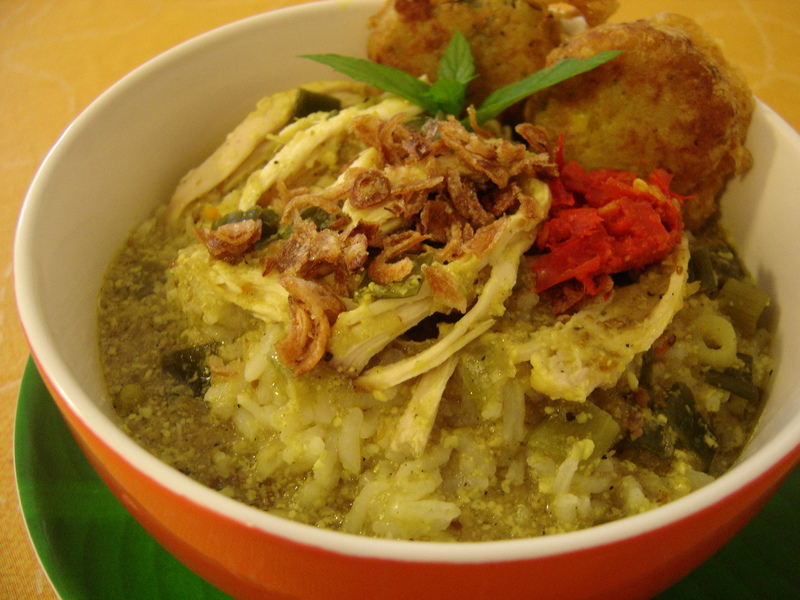 This Soto Medan is other variant of Soto. It comes from Medan, a capital city of North Sumatra. The taste is similar with Soto Ayam (Javanese Style Chicken Soup), only Soto Medan has sweet flavour because it has coconut milk inside. 1. Wash the chicken, and then pour the lime juice over it. Leave it for sometime (10 minutes or so). Then wash again. 2. Simmer chicken in 1 litre of water together with salt, salam leaf, lemongrass, lime kaffir leafs, and the galangal. Cook until the chicken is tender. Take it out from the stock and leave it to cool. Separate chicken meat from the bones and shred finely. Meanwhile keep cooking the stock with low heat. 3. Fry the chicken. Set aside. 4. In remaining oil, sauté the spice paste for a minute or two until fragrant. 5. Put the fried spice paste into chicken stock. Cook until the spice is absorbed. Then add the coconut milk. Continue cooking. Taste it before serving. 6. Serve with plain rice (nasi putih), Perkedel (potato croquettes), prawn cracker and garnish with fried shallot and spring onion.